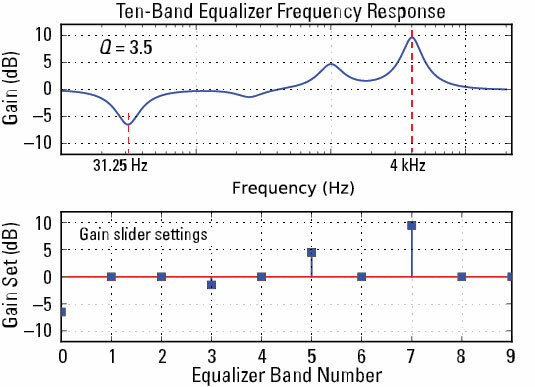 The real deal with a ten-band equalizer is that you can graphically visualize the spectral shaping you provide to the signal passing through the equalizer by just looking at the positions of slider gain controls, as shown. Here’s a collection of Python functions to display the exact frequency response. The figure shows the comparison of the input (upper subplot) and output (lower subplot) waveforms. 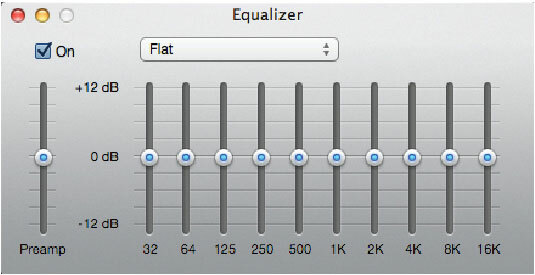 The lower subplot shows that the equalizer has done its job! 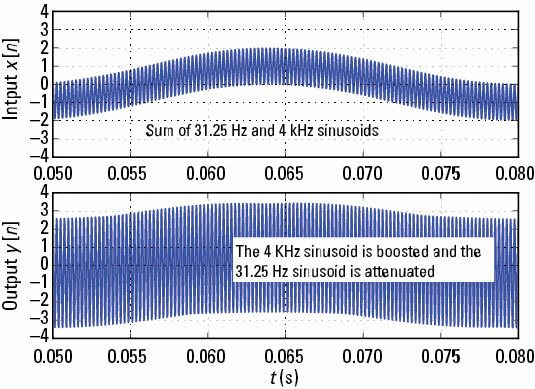 The 31.25-Hz sinusoid is smaller (by the factor 10–6.5/20 = 0.473) and the 4-kHz sinusoid is larger (by the factor 109.5/20 = 2.99).